1-CD with 27-page booklet, 11 tracks. Playing time approx. 28 mns. It must have been around the middle of 1976. In a quiet side street in front of an inconspicuous detached house in Hamburg's Rahlstedt district, two men load three large instrument cases from a car. A white-haired older man is supported by a slender younger man. 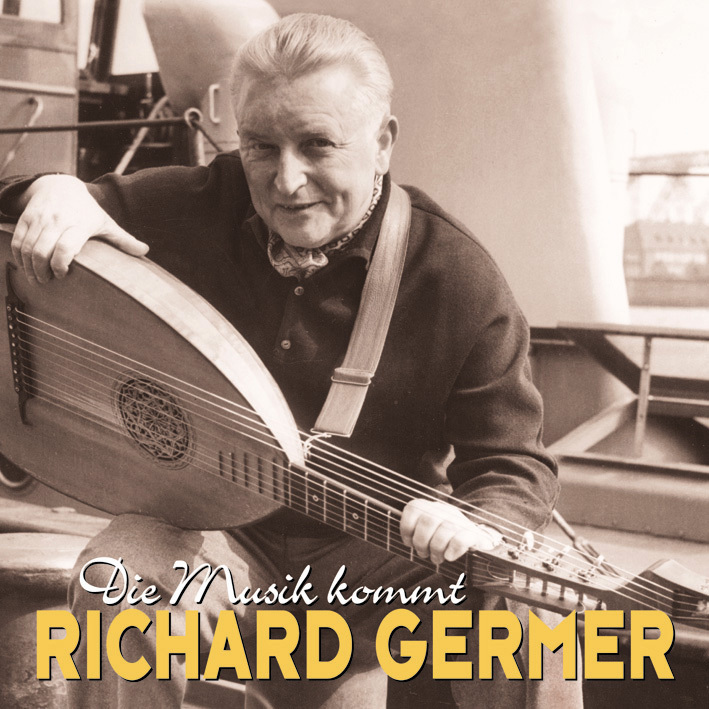 At first glance, you can think of them both as father and son, but - as the neighbours only learn much later - they are the famous and popular Hamburg folk singer, lute virtuoso and musician Richard Germer (1900 - 1993) and his long-time friend,companion and'foster son' Helmut Gättke (* 1935 ), who had once asked Richard Germer casually on an excursion to Sylt in 1973 whether he would like to sing the songs of his youth and play the lute now that he no longer appeared actively. Just for pleasure, and he would record it on tape. "At first Germer came to me in his own car, but that changed over the years. I picked him up later from his house at the Elbchaussee and then we both went to my place. I often cooked food for the old man, because he loved to eat with me, and when I was working in the kitchen, I heard him trying one or two things in the living room on his old lute, which he had given me as a present. It was always comfortable, we ate and dined, and it always took us a while to get to work. We often started recording at two o'clock in the afternoon, and it was not uncommon for the sessions to continue into the night. He liked to drink a lot of strong coffee, but never alcohol:'You have to remember one thing: Never go on stage with alcohol. "There are some who'll do it, but then you'll be out of control!" Helmut Gättke, who at first had no idea at all about tape recorders, let alone studio or microphone technology, first bought a two-track Revox device and worked himself into it over the months to such an extent that useful recordings were made in the living room. At night was an ideal time, because no more street noise could be heard and because it accommodated the preference of the'Nachteule' Germer. On some nights two or three songs were written, sometimes just one, because every time Germer made a mistake, when a string snarled, when he complained about unclear pronunciation or when something disturbed him, he broke off the song and played it again from front to back in one go. And for as long and as often as necessary until both were satisfied. 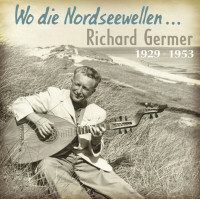 Germer thought a lot of the opinion of his'sound engineer', but when he was dissatisfied and Gättke had already made a catch in his recording book, Germer went back to work and sang again - then mostly better than before. Germer liked to raise the'soundman': "It is only 4 o'clock, are you tired already?" One day Richard Germer arrived in Rahlstedt with three instrument cases and Helmut Gättke wondered: "I thought: Is he still bringing an orchestra? And suddenly there were three big bass sounds in my living room and he said,'Now you can choose one.' I thought it was a joke. 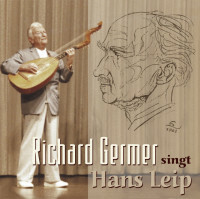 He pointed to his original lute, built by Otto Tittmann, who had opened a music shop and workshop in Hamburg in 1928, and said:'My entire compositions were written there. It's nice, you should have it now. "You can choose another if you want." 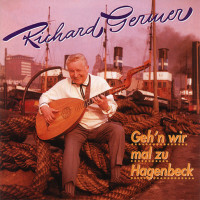 Knowing him very well, I knew that he was serious and so suddenly I had a bass lute from Richard Germer. He then roared away again in his car, and I stood alone in front of this instrument and from time to time I made'Blummblumm', as he called it. Slowly I began to learn the instrument with enthusiasm and his help, and so I have been playing this beautiful lute for over 35 years"! 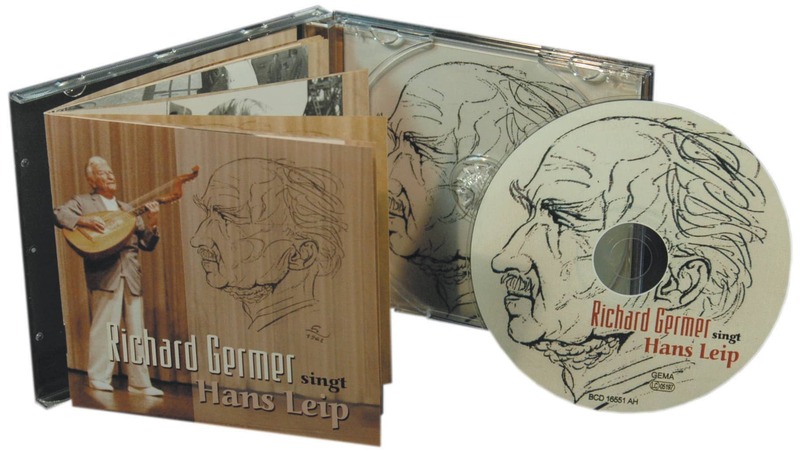 According to Helmut Gättkes recording protocol, the two began with the recording of Hans-Leip songs and in 1976 with the traditional and Low German lyrics. The first were Wedeler Schipperdanz (No. 17), Ol Vadding Franzen (No. 19), Vineta (No. 14) and Vedder Michel (No. 21). Except for the latter - an old folk song - these were all poems by Helmut's father, the poet and writer Walter Gättke, with whom Germer had been friends since his earliest youth. 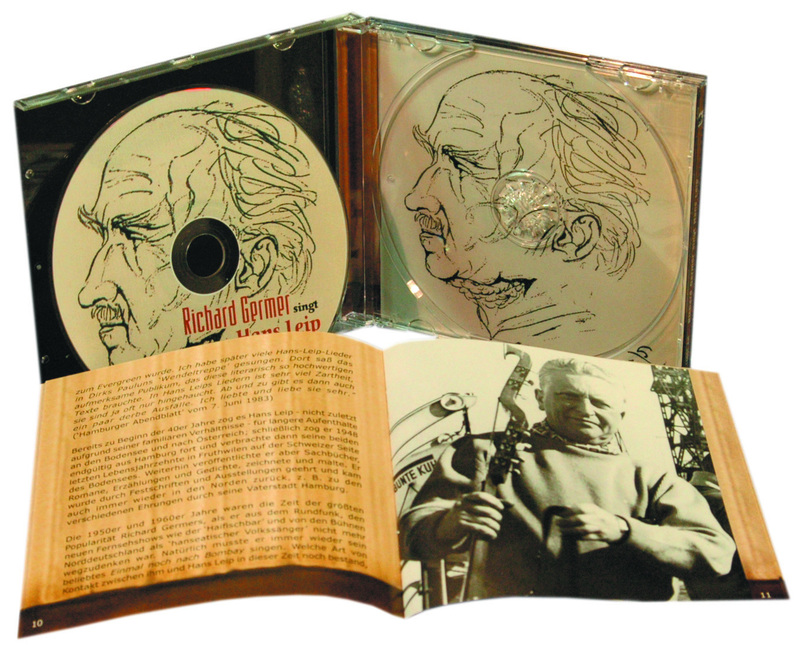 He loved the Gättke songs very much, he sang and set to music for many of them for years. At the time of the recordings, however, Gättke Senior was no longer alive, so that now the deep friendship obviously passed to his son. "It was immediately after the war. 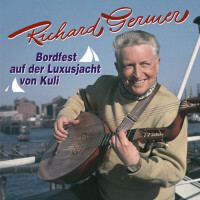 Germer came to us with his lute by bus. We were a very small circle, I think there was even a bottle of cognac on the table that had flowed in through some kind of relationship, which was something rare back then. I was nine years old and found it all incredibly exciting, even this big instrument in the box. I always thought: When will he open the box? And then it finally happened! And then came my father's voice:'Helmut! "Off to bed!" I thought that was so mean, but I had to obey. I slept in the attic, there I had to climb up through a floor hatch, so I climbed up, closed the hatch from above with a rumms and immediately pulled it up again. Now I could listen to the adult. 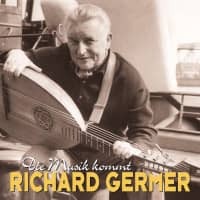 My father then recited something, and especially Germer played and sang on his lute. I always like to think back to this event, for here my great affection was born. 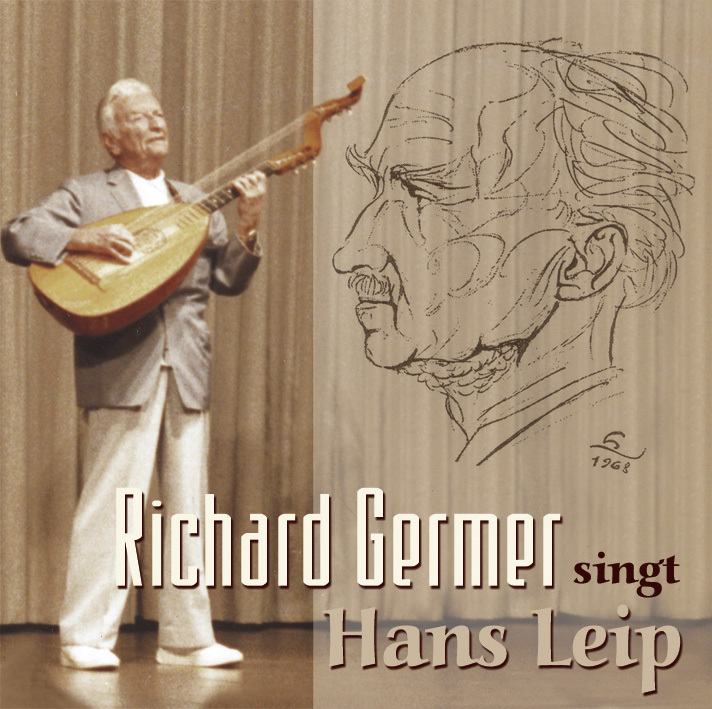 Customer evaluation for "Richard Germer singt Hans Leip"